the gender from the quote. Use “person” whenever you can!! It’s also Ride a Train Day over on our September calendar of a month full of Smiley Silliness. And if that train has a dining car, ask for a vegetarian meal because it’s also Hug a Vegetarian Day. How appropriate that this holiday falls on animal rights advocate Linda McCartney‘s birthday ( 1941). Another birthday to acknowledge is Jim Henson‘s (1936). He created the wonderful Muppets and was Kermits voice. I love this quote of his: The most sophisticated people I know – inside, they are all, children. 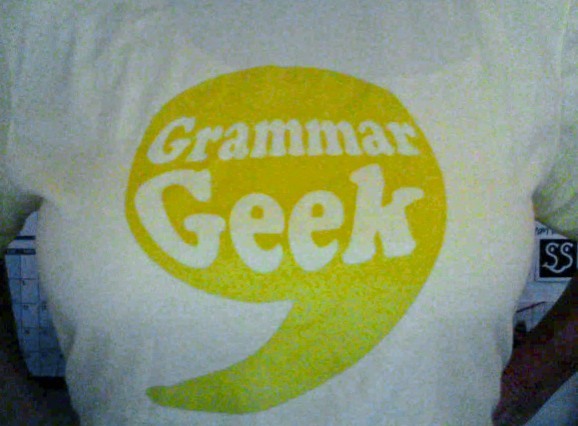 Me, proudly wearing my Grammar Geek shirt. 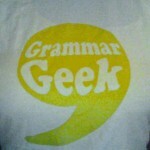 In honor of Punctuation Day, I’m wearing my grammar geek t-shirt. Additionally, in honor of Love Note Day, I’m penning a note to my dear Dave. No worries about the punctuation. I’ll get it right! Plus, I’ll have fun doing so. Yesterday was the anniversary of U.S. Airmail and today is Love Note Day. These wacky holidays are colluding to get us all to remember that a letter by snail mail is pretty darned great. Give it a try and the person receiving it will get a moment of delight at their mailbox. Wouldn’t it be cool to be the reason someone else felt delight? Today is also the day we celebrate the Blue Bird of Happiness. I just stepped away from my keyborad and danced around my desk singing Zip-a-dee-doo-dah. Join me? 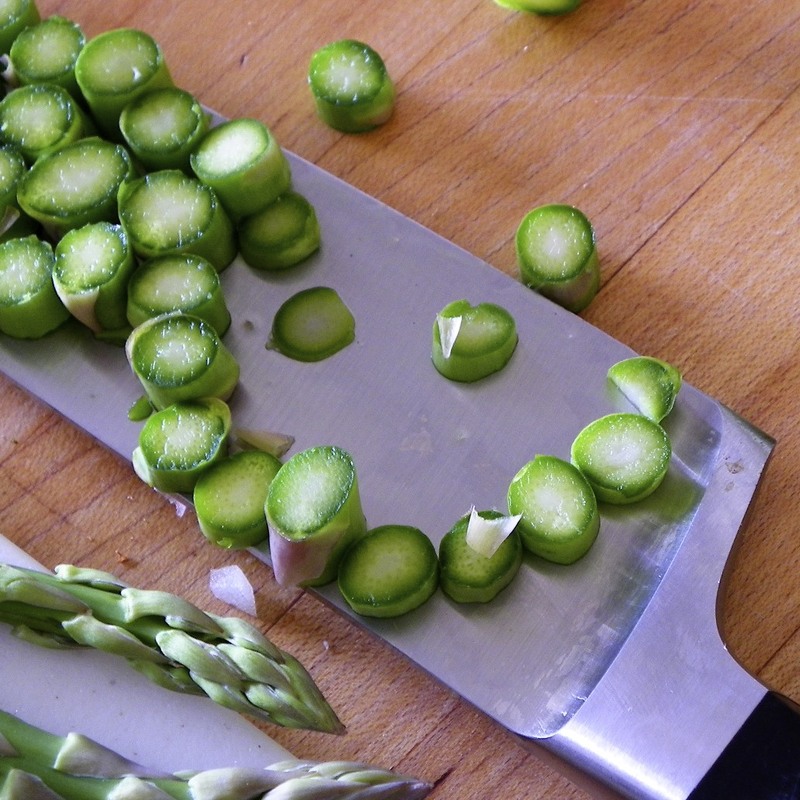 Plus as is often the case, just for grins, you get a different Food Smiley in the Smiley-a-Day emailer.